Roughneck Professional Brick Bolster 102 x 216mm is rated 5.0 out of 5 by 4. 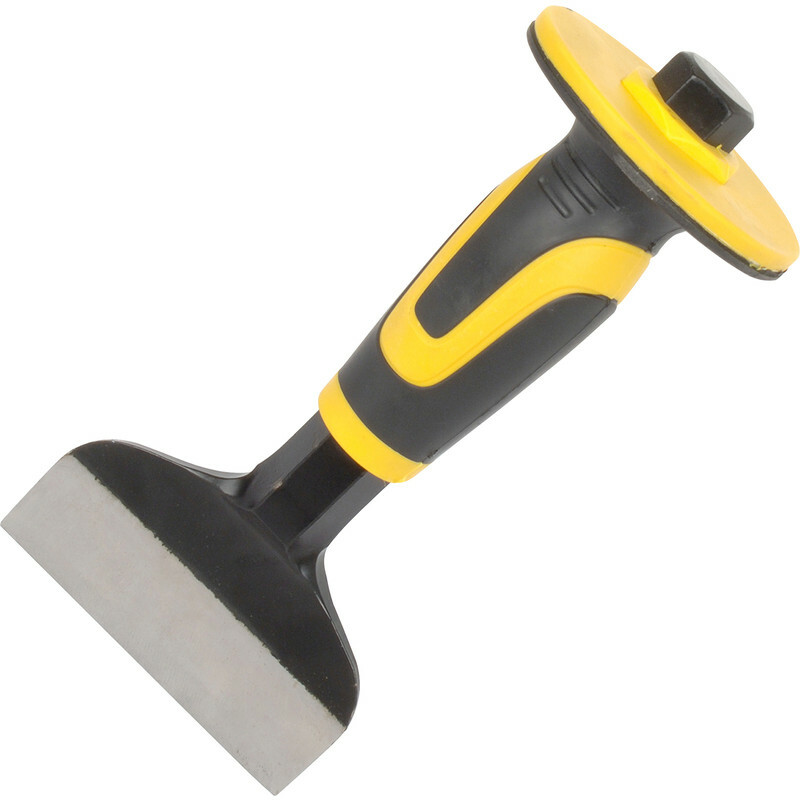 Rated 5 out of 5 by Skinflint from Nice piece of kit Really nice chisel. The shield fits snugly in the hand (no more bruised knuckles) and the blade holds its edge really well! Rated 5 out of 5 by Cee Ger from Good Quality Used this to chase out a channel and a hole for electrical back box. It was very sharp so made quick work of the concrete block. The hand guard is a must. Rated 5 out of 5 by fizzking from A proper cold chisel A replacement for a shattered cold chisel. It looks well made.